The UK financial regulator has proposed a series of measures to help retirees cope with recently-won pension investment freedoms. According to a recent Financial Conduct Authority (FCA) consultation paper, many UK retirees – especially those who had not sought financial advice – were opting for high-cost, conservatively-invested pension options. In 2015 the UK government removed restrictions that required retirees to take invest most of their pensions into annuity products. However, the FCA report says most retirees have struggled to effectively exercise their pension freedoms – opting for existing scheme default options there were often cash-heavy. About a third of all non-advised UK retirees had invested 100 per cent of their pensions in cash, the report says. While shifting to cash might be appropriate for some retirees, the FCA estimates about half of that group would be losing out on retirement income as a result. The FCA research found roughly a third of retirees in drawdown phase also had no idea of where there money was invested and many others only had a “broad idea”. “We also found weak competitive pressure and low levels of switching in the nonadvised drawdown market, and looked at whether this might drive higher prices and less innovation,” the paper says. As part of a ‘remedy package’ the FCA proposes pension providers should not be allowed to offer cash as the default retirement income option. Furthermore, the regulator says providers will have to offer members more useful information on pension options including a simplified ‘wake-up pack’ (supplied to imminent retirees by schemes). Under the proposals, pension schemes would also have to offer ‘investment pathways’ for retirees – defined as three investment solutions packaged to “meet fairly straightforward needs, reflecting standardised consumer objectives”. Finally, the FCA has proposed a requirement for pension schemes to inform retirees annually whether they have drawn-down income or not. “Should we introduce [the reporting requirements], we also believe consumers should be reminded annually of their chosen investment pathway and their ability to switch, to encourage the consumer to consider whether the investment pathway they are in is still appropriate for them,” the paper says. 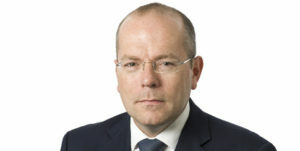 In a statement, FCA head of strategy and competition, Christopher Woolard, said: “We know that the choices introduced by the pension freedoms have been popular with many consumers. The FCA ‘Retirement outcomes review’ launched in July last year.